For those of you bearing the winter snow storms doesn't a sunny and warm vacation sounds dreamy right about now?! My sister is currently living in Hawaii and was happy to share some of her favorite things in Honolulu. 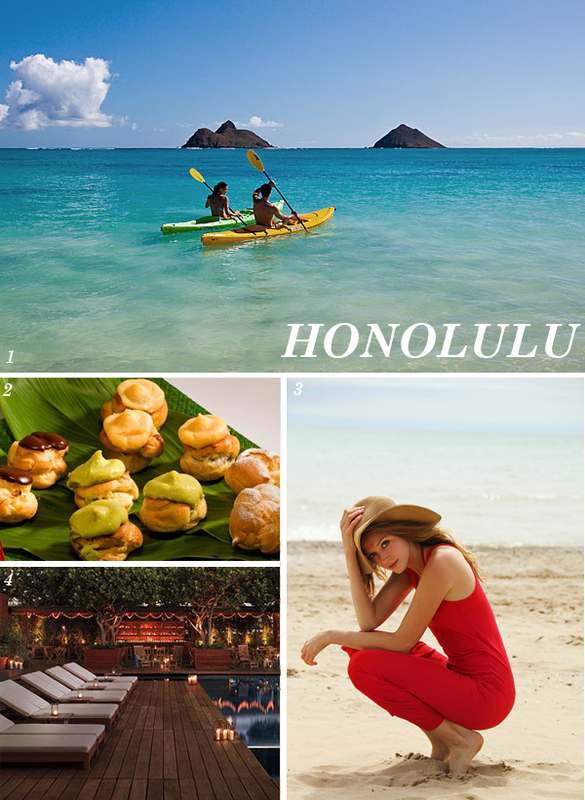 Do you have a favorite spot to share if you had a couple of days to spend in Honolulu, what should not be missed. I grew up in Kailua. We used to kayak in Lanikai all the time. It's always fun to get some shave ice at Island Snow after a long day at the beach. (On a side note I ate three shave ices at the the Alt White Party.) also the hike to Makapu light house is a good one! I love all the places to eat on Kapahulu Blvd (close to Waikiki). I love having a meal at Ono Hawaiian Food (try a lau lau) or Genki Sushi (Japanese chain with conveyor belt sushi), and then rolling over to either Leonard's Bakery for a hot malasada (like a Portuguese beignet) or Waiola Shave Ice (I like my shave ice with ice cream and adzuki bean) for desert. gorgeous images. I have never been to Hawaii either...would love to go! A walk thru the Waimea Botanical Garden with a swim in the waterfall at the end. I have never seen such a wonderful collection of plants. It's in the Valley of the Kings and it's truly amazing. 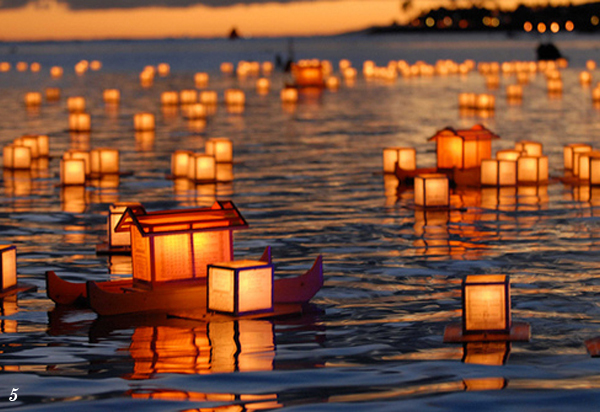 The pic of the lantern floating festival has been my iPhone wallpaper all winter. It keeps me from focusing on the dreariness outside my window. Oh wow- a much needed dose of sunshine before I head out into the grey UK weather! Looks absolutely gorgeous. Thank you for prompting the beautiful memory of staying at the Modern Honolulu for my honeymoon last year. My fiancé and I visit Hawaii once a year to see family and friends. We always eat at Helena's, and just recently had the best slice of cheesecake at Otto Cake in Honolulu, around the corner from the Human Imagination and Owens & Co., 2 great stores! I spent a dreamy day at ala moana beachpark. We rented beach gear from hawaiibeachtime.com. they deliver to any beach, are affordable, and have anything you could want! (I highly reccomend the water hammocks and kayaks!) Laying on a water hammock in the ocean... best thing. Whoa, kayaking there must be so beautiful. Wish I could be there right now! First thought - mai tais at the Halekulani. The Outrigger Canoe Club- without a doubt! snorkeling at hanauma bay is always a winner. uncle's fish market near pier 38 has great food. liliha bakery coco puffs have gone downhill, sorry. island snow is my favorite for shave ice, you can get their stuff online too, not the shave ice though. we are staying in Lanikai for a week in April -- super excited! Great post.